The Model Aeronautical Association of Queensland (MAAQ) is an Association of model aero clubs in Qld. The Association numbers over 2400 members, with approximately 60 affiliated clubs. It is also recognized as the sole representative organization for the sport in Queensland by the Federation Aeronautique Internationale (FAI) which is the world wide governing body for all forms of sporting aviation, including model flying through (MAAA) and Australian Sports Aviation Confederation. 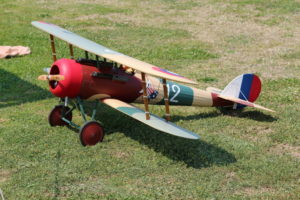 There are many different codes of model aircraft flying. Radio Control which includes War Birds, Scale, Racers, Miniature, Gliders, Sea Planes, Helicopters to name a few. Free Flight has both indoor and outdoor types. Control Line is a good introduction to model flying. Model aircraft flying comes under the control of the Civil Aviation Safety Authority and for that reason it is advisable to join a club. There are Civil Aviation orders written governing the sport, which the MAAQ use as a minimum requirement. Your local club is the best place to start and there are approximately 60 clubs to choose from in Queensland. To find the location of a club or clubs near you, visit our Club Locator Page, enter your postcode and start exploring. If you need any further assistance please contact us on 0407 340 239. 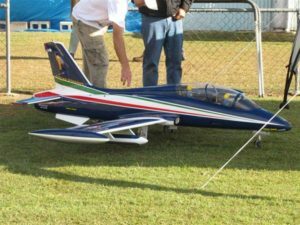 Most affiliated clubs have instructors and experienced fliers that can provide lessons in learning how to set up and fly model aircraft. Clubs are open most weekends, Saturday and/or Sunday, with some operating on weekdays as well. Model Aeronautical Association of Queensland shared a post. What a magnificent looking warbird! Well done guys!Paul brings his P-40 KittyHawk home after another successful flight.